You know the saying, “when in Rome, do as the Romans do”. So along that same note, when in Ambergris Caye… do what the locals, tourists, and expats do. 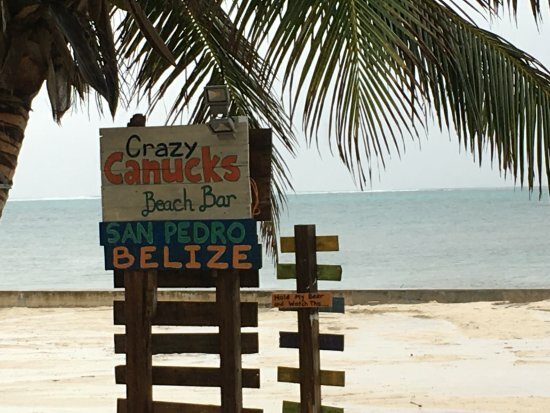 When it comes to some of the top bars and grills on the Caye, you won’t want to miss out on these fun hangouts. With their convenient and fun location on a pier, delicious food, giant burgers, views of the Barrier Reef, great music, and “best hot sauce I’ve ever had” says one of many online reviewers, Palapa Bar & Grill seems to have it all. What more could a person ask for when the waiters bring you cold buckets of beer while you are tube floating in the water along the pier? It’s no wonder why Palapa gets a firm “Must Go” from their reviewers. A “cute, gem of a place for an evening cocktail”, Wayos bar is located over the water with comfy seating and gorgeous water views. 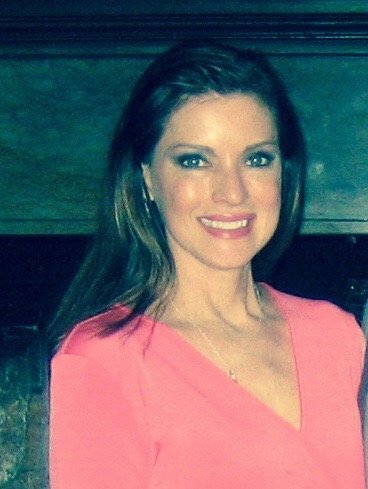 They have an assortment of drinks that are served strong and with a smile from the fun and attentive staff. The food is flavorful and perfectly seasoned, especially the quesadillas and burritos. Wayo, the owner, is typically there chatting with his customers. 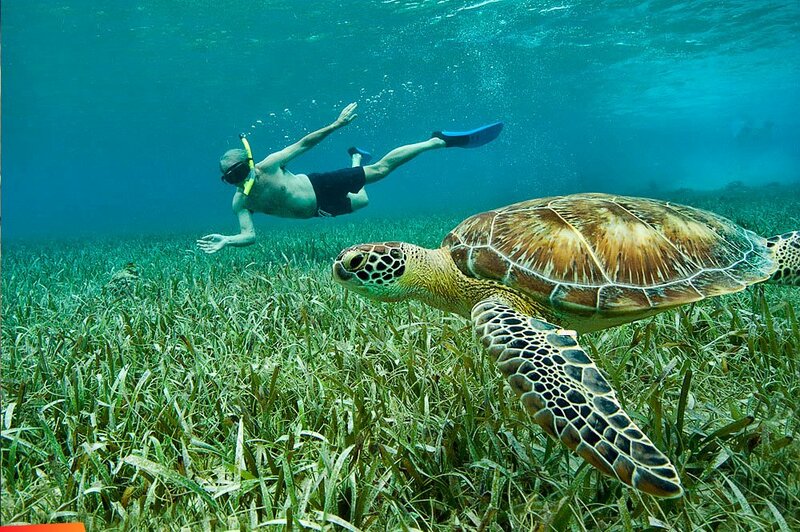 He’s very down to earth and useful in helping you decide what to do next on your Belize vacation. “Ingenious”. A food truck-truck stop, bet you can’t say that 10 times in a row. The Truck Stop, with its 4 colorful shipping containers that have been converted into mini restaurants, serve up different savory cuisines - like Asian, pizza, local favorites, and ice cream, thank you. There’s a sunset deck and a poolside bar, which overlooks the bay that gives you a peaceful view of the marvelous, hot-pink and fiery-orange sunsets. Not only do they have savory food that’s not at all pricey, they complete your experience with “super yummy” ice cream, plenty of seating, kids games, trivia and movie nights, and family feud nights. Crazy Canucks is conveniently located and has an easy walk on the beach back to many of the hotels. There is plenty of space for large groups, excellent views of the Caribbean Sea and great music. The food is delicious especially the wings and coconut shrimp. They boast different themes of nightly entertainment, like Reggae night, and the “racy” (as in adult) Hermit Crab Races, which is hilarious and fun to watch. Says one reviewer “I laughed all night long”. With top-notch drinks and lots of dancing, you will come back again and again. Getting there is an adventure all its own, but once you arrive and take in the sights of the white sand beach and beautiful surroundings, you will understand its well worth the trip. Here are just a few of the highlights – food made fresh daily, scrumptious seafood, out of this world fish tacos, savory fries and chicken nachos, delicious fruity and creamy drinks, muy frio beer, the staff and service are impeccable. While you are there play some games, rent a paddle board, and get a massage. One reviewer pretty much sums it all up, she says “it’s like a mini 5-star resort on the must see secret beach”. 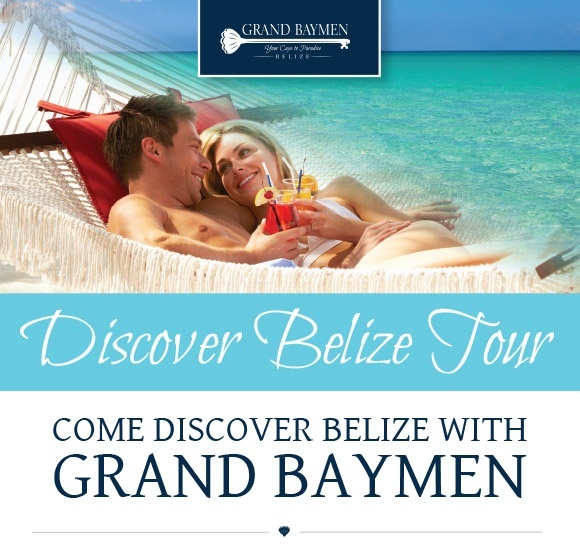 If you are considering coming to Belize, or coming back to Belize, be sure to book your stay with us at reservations@grandbaymen.com. 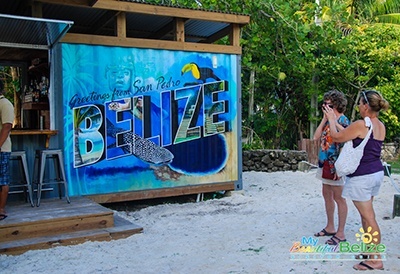 Or if it will be your first trip to beautiful Belize, join us on one of our upcoming Discover Belize Tours. Please click here for more information.